Microsoft has released .Net Framework 4.6.1 and this doesn’t go well with any version of Exchange server, including 2016 yet. You need to watch out for this one especially if you use Windows update to patch the servers. 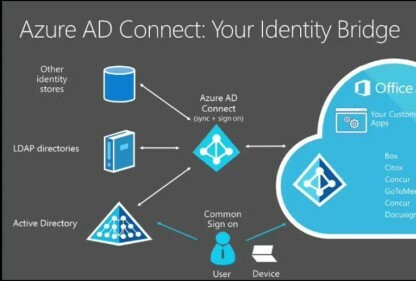 The Azure team has released the much awaited Azure AD Connect binaries for download. While running Connect-MSolService in Windows Azure Active Directory Module for Windows PowerShell, I was surprised to see the error below. This has worked like a charm in the past! You can now specify a password for a new Office 365 user, just as you would while creating an account in Active Directory. Office 365 RoadMap url is one to be added to your browser’s favourites. Forefront Protection 2010 for Exchange was an antispam/antimalware product that was used heavily with Exchange 2010, especially in greenfield projects. What is the difference between Office 365 first & standard release and how can I jump between the releases? Themes in Outlook Web App is an option some of the end users like to “play” with and the admins always want to have a uniform experience for the end users. Microsoft has listened to some of the large corporations who wants to move to Office 365 by increasing the maximum size of the message that can be moved to Office 365.